What is Empowering Women in GIT [ Geospatial Information Technology]? 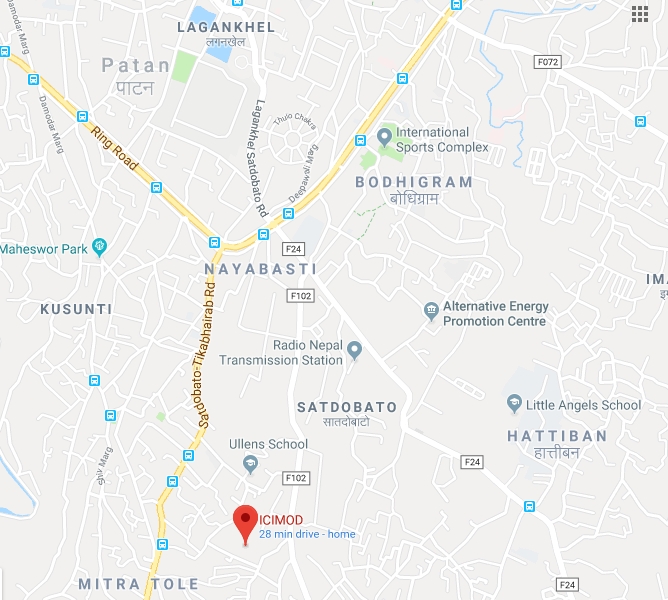 The International Centre for Integrated Mountain Development (ICIMOD), in partnership with Robotics Association of Nepal (RAN), will conduct a four-day training on “Empowering Women in Geospatial Information Technology (GIT)”, Kathmandu, under its SERVIR Hindu Kush Himalaya (SERVIR-HKH) Initiative. In recent years, technology has developed drastically and new innovation is growing day by day. Nepal, though in a slow pace, is also adapting to the technology being developed. But this adaptation has not been proportional in terms of gender. GIS Mapping, one of the leading innovative technology is creating jobs and confidence in people that supports landscape mapping, smart planning and decision making but inclusion of women in GIT related jobs is very less in Nepal as well as in other regional member countries in the HKH region. Therefore, SERVIR-HKH is promoting capacity building activities specially designed for women to develop gender balance workforce in the region. 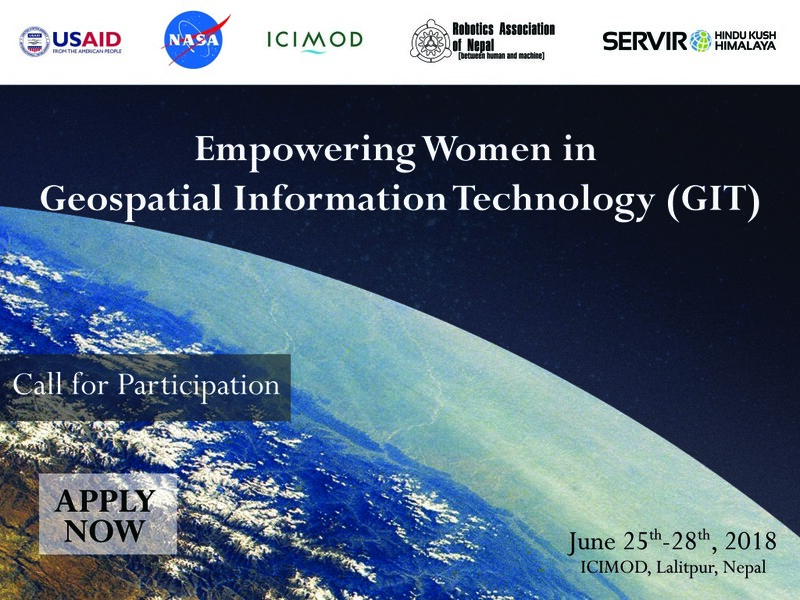 This training course will bring young women from Nepal together and provide theoretical as well as hands on exercises on the use of satellite Earth observation data and GIT. This will cover a range of topics including Earth observation for societal benefits, GIT applications in HKH, concepts of remote sensing and GIS, gender perspectives in GIT, team building, importance of women in GIT, GIS operation and mapping using open source tools, python coding, and use of GEE cloud computing environment to solve emerging environmental problems. Why Empowering Women in GIT? Empowering Women in GIT is to help women start and navigate their geospatial careers, gear towards helping women navigate their careers in geospatial industries. . The program believes in advancing the presence of young women in GIT and make them leader in the field of Geospatial technology. While the opportunity is growing in this sector with the change in governance into federal system, the male/female ratio has been uneven and unequal. Male counterparts has been leading this sector and earning a healthy income but female counterparts are out of scope. We believe Empowering Women in GIT would support build a better career with equal opportunity. This training aims to train young women from Nepal on the use of Earth observation data and geospatial information technology which will support the efforts to bridge the gender gap in GIT field through empowering and encouraging women to consider careers in GIT and its applications. Upon the completion of the training, the participants will have a better understanding about the concepts and general applications of Earth observation data and GIT. Vector calculation, functions: geometric, arithmetic, mathematic, aggregate, etc.